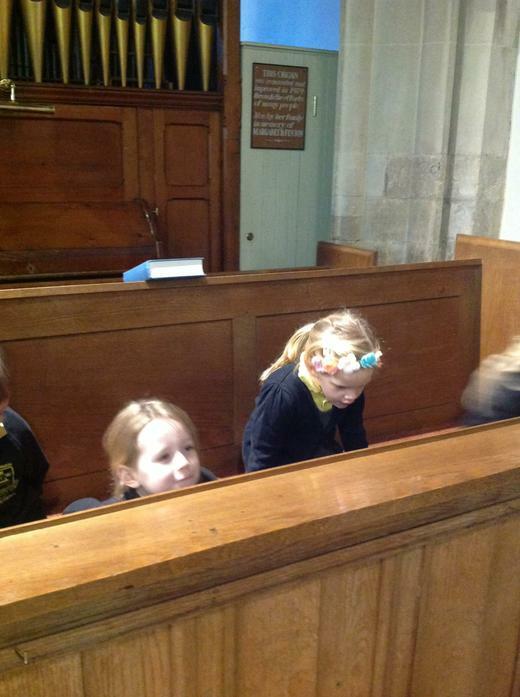 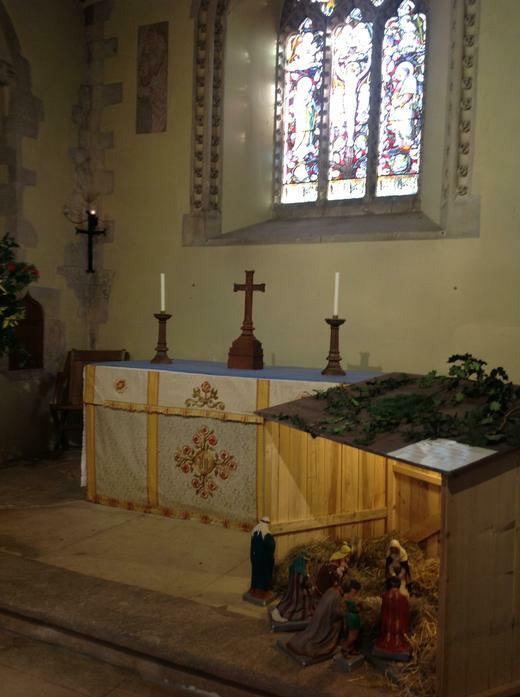 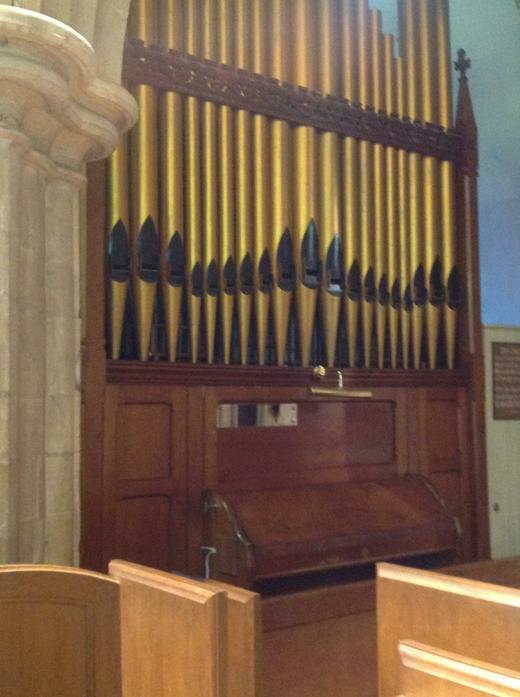 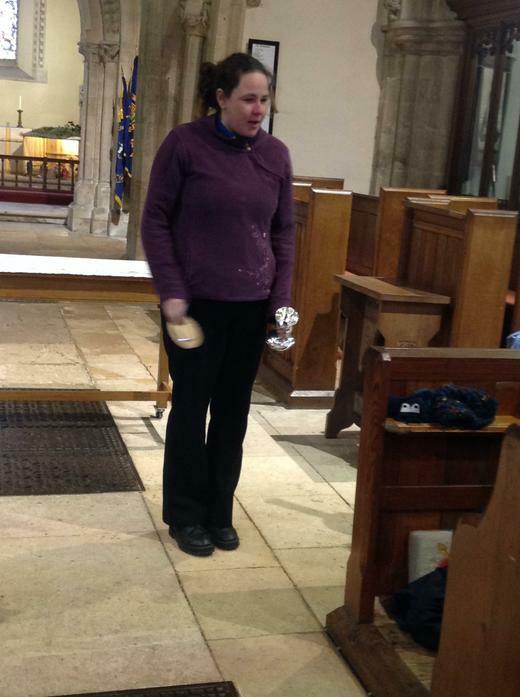 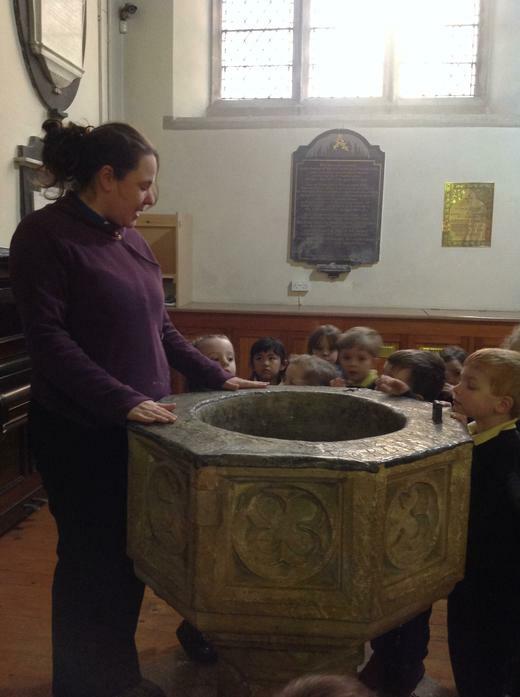 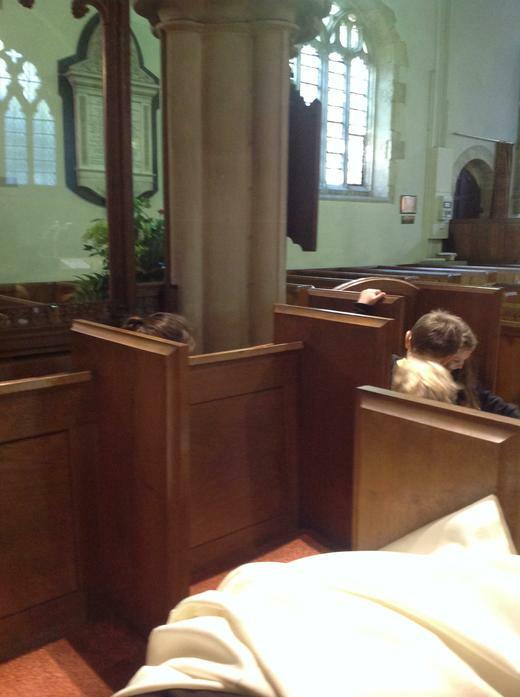 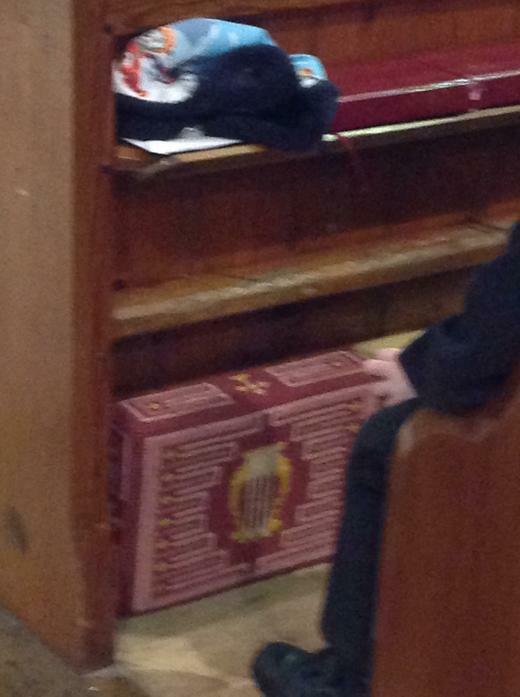 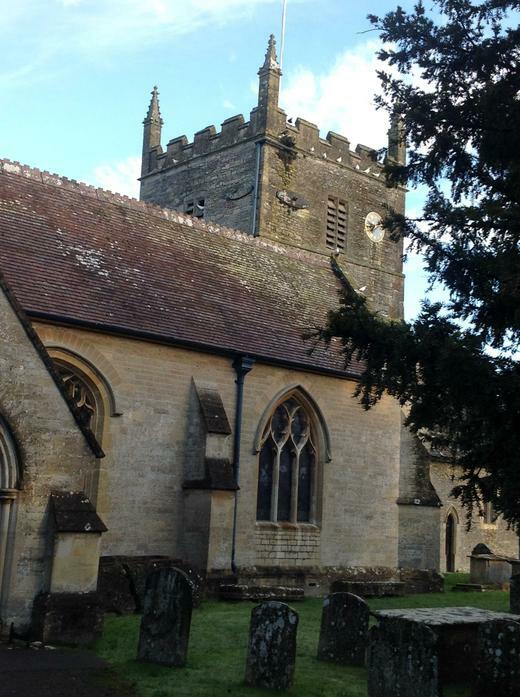 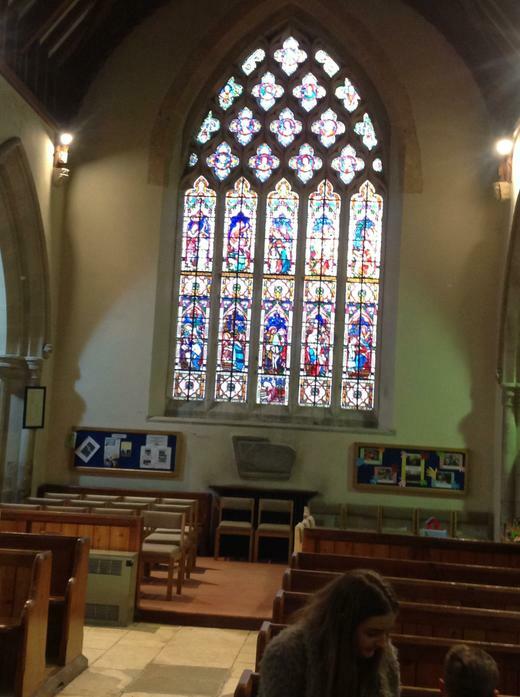 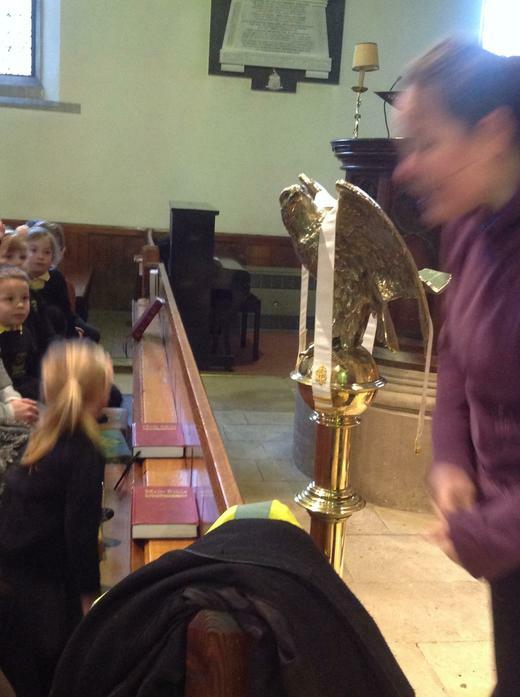 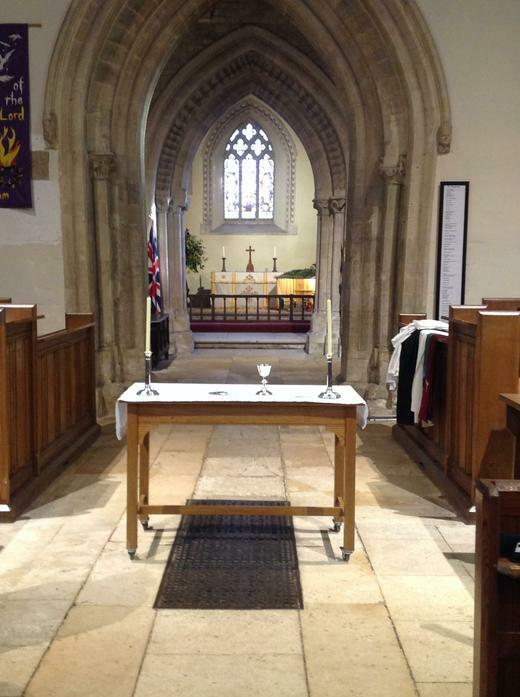 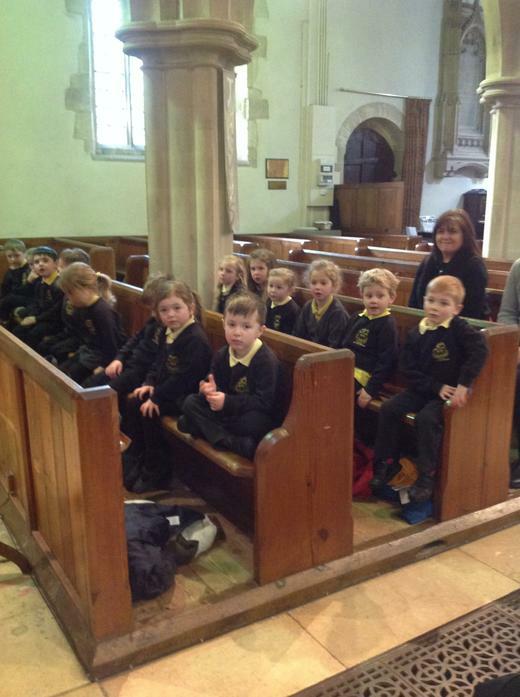 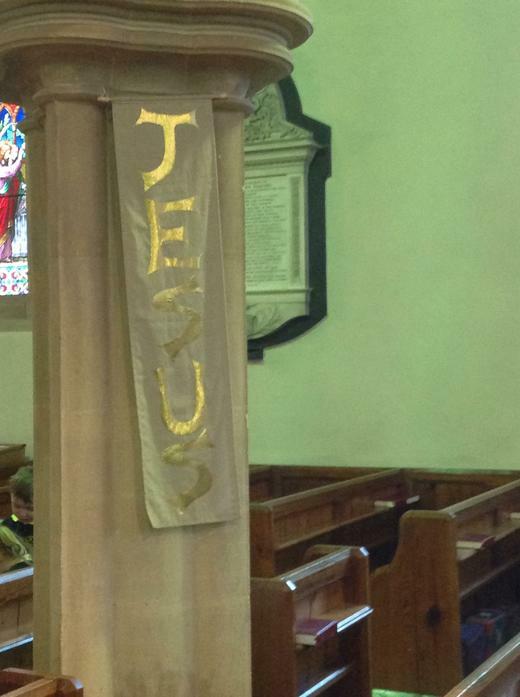 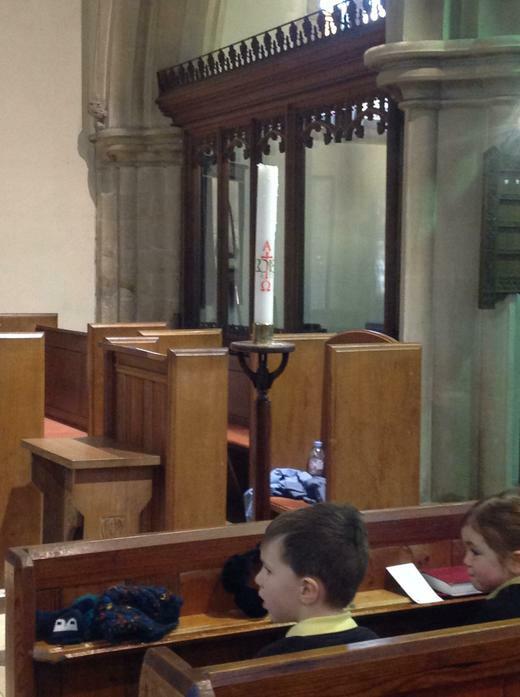 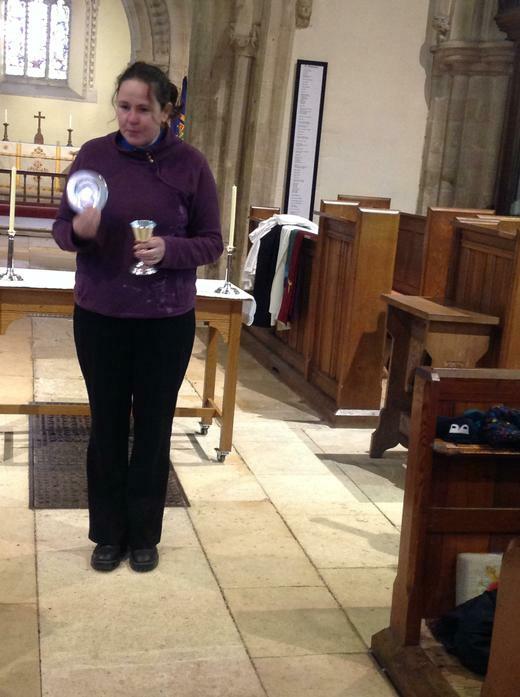 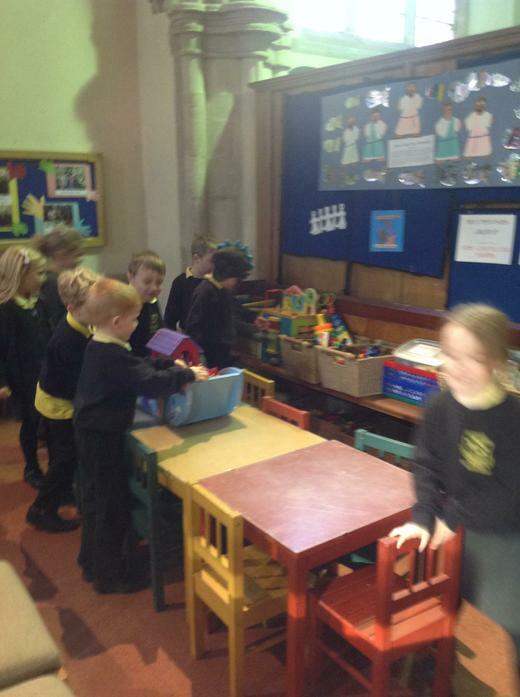 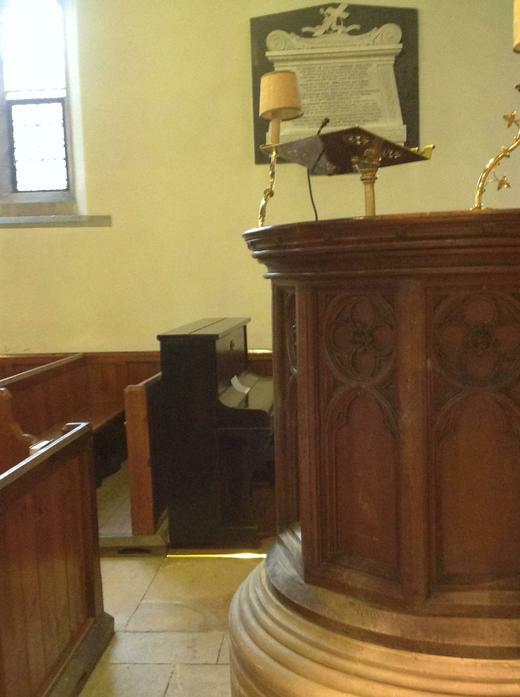 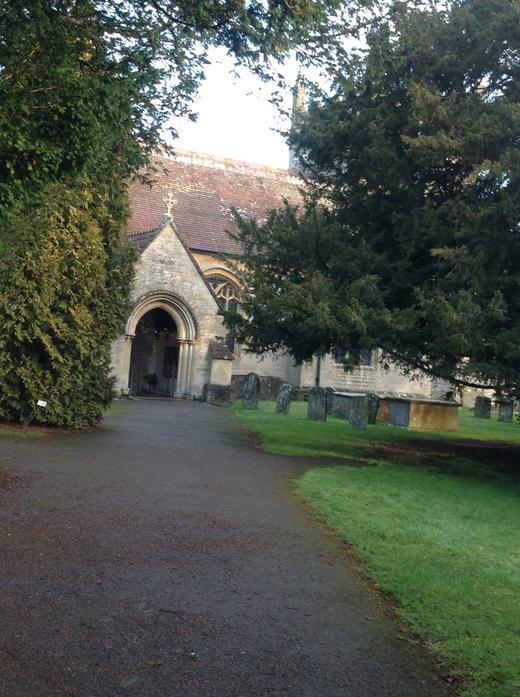 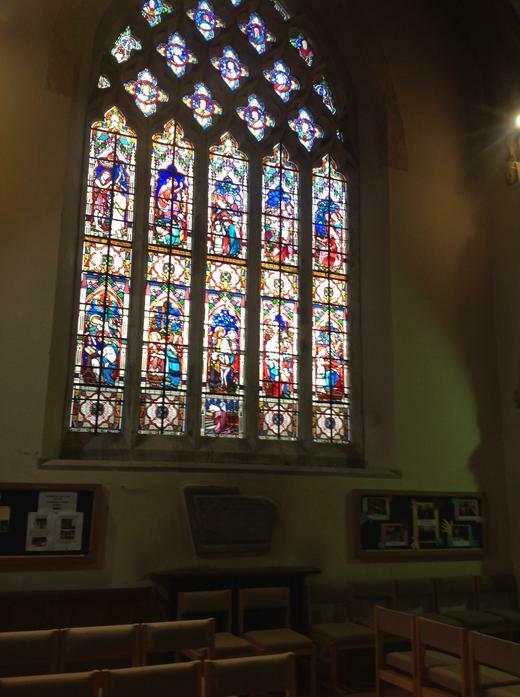 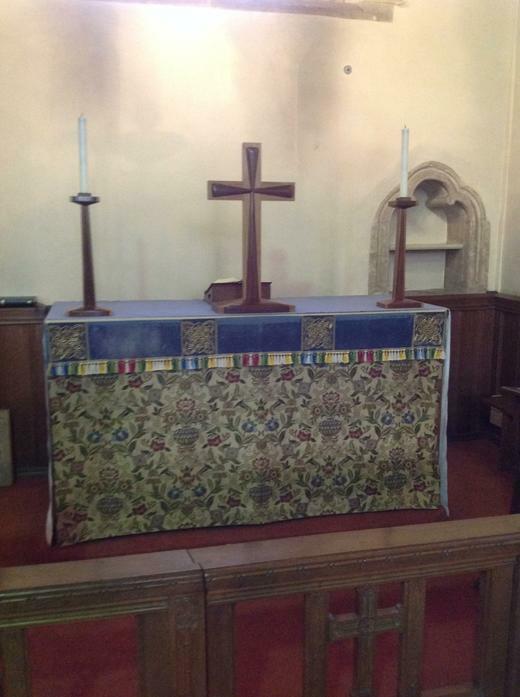 On Tuesday 22nd January we went to All Hallows church to find out why it is a special place. 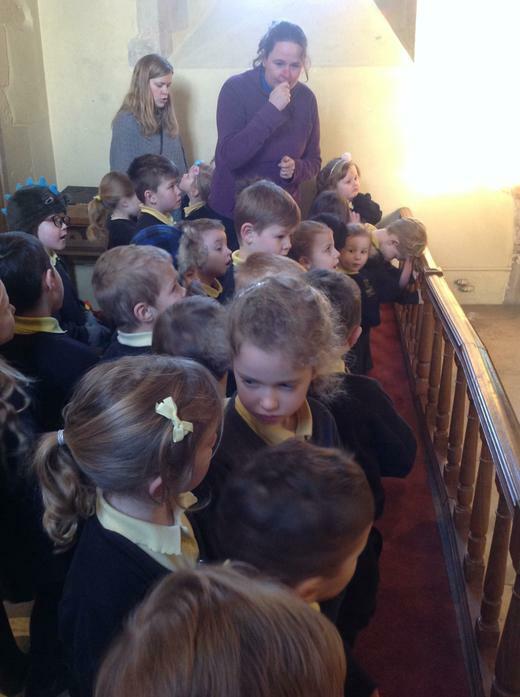 We were met by Reverend McKenzie who welcomed us in and told us all about the special features of the church. 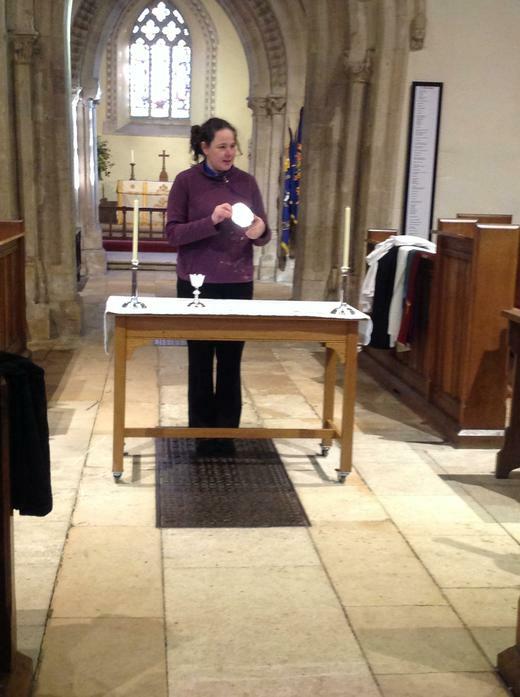 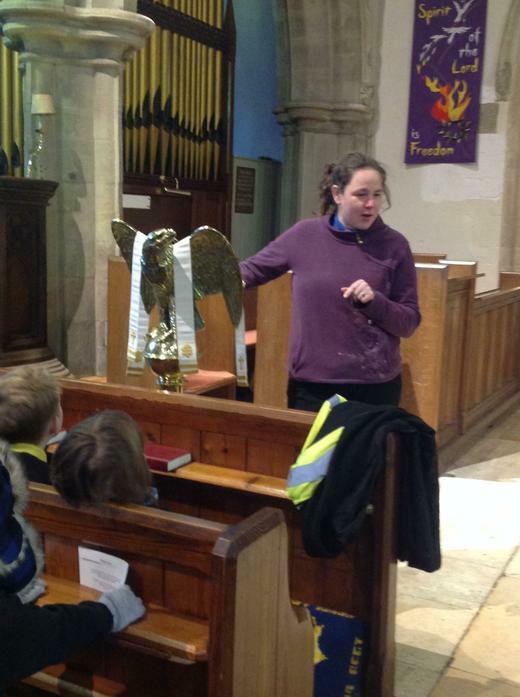 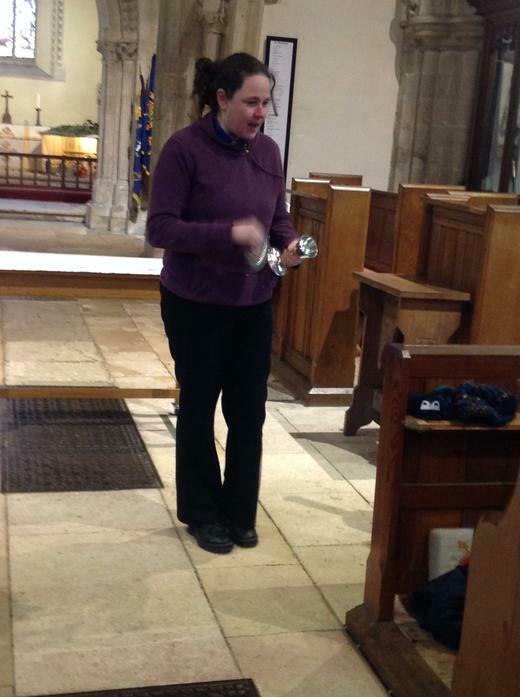 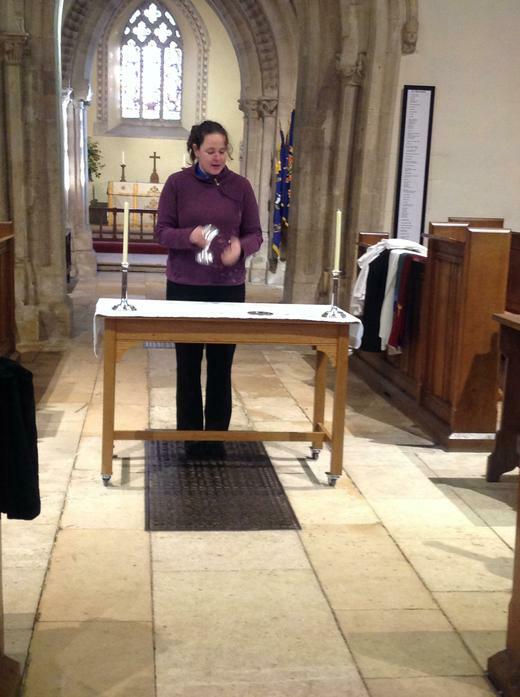 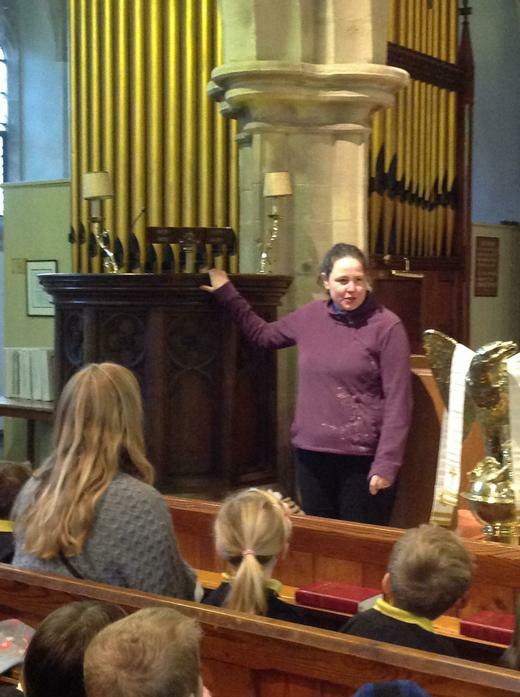 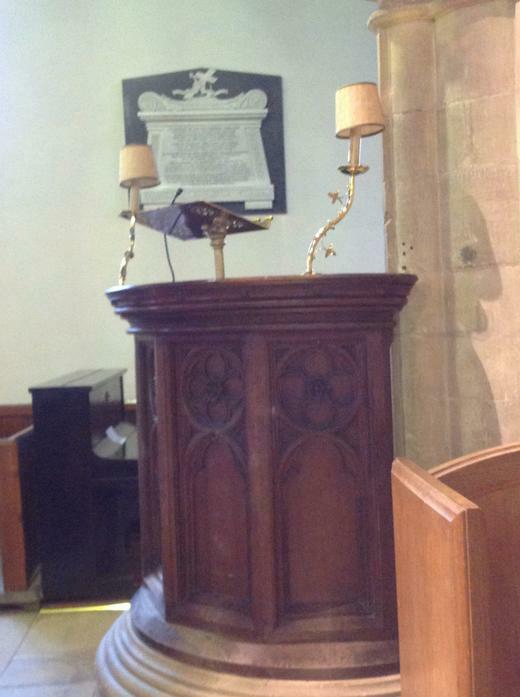 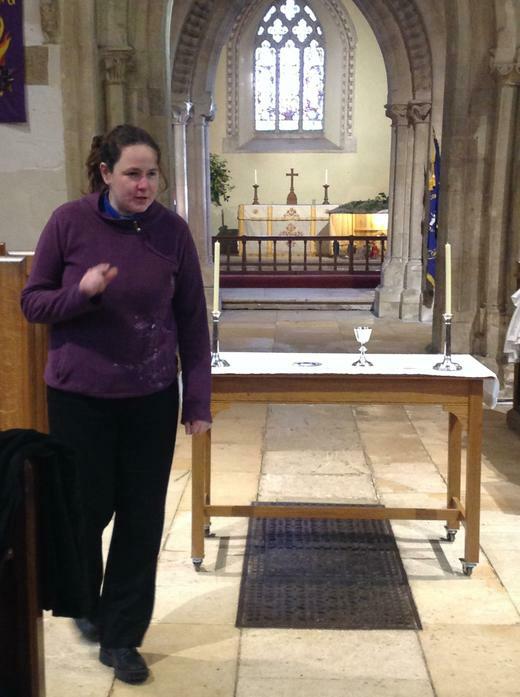 She told us the 'church' names for the different parts of the church; the pews, the altar, the font, the lectern, the pulpit, the chalice and the paten plate. 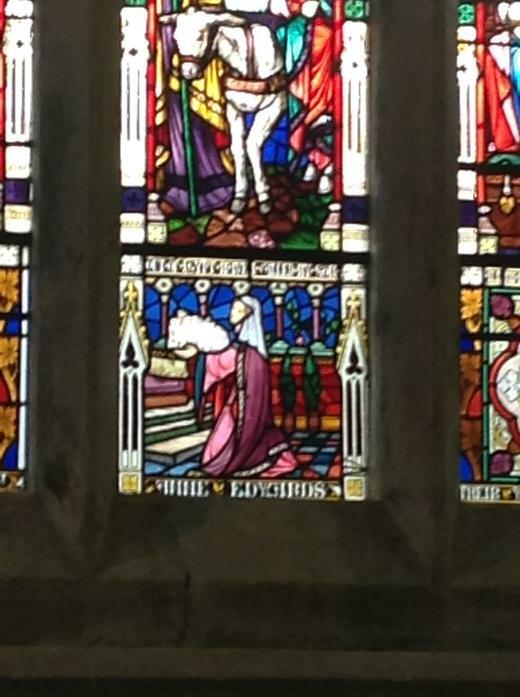 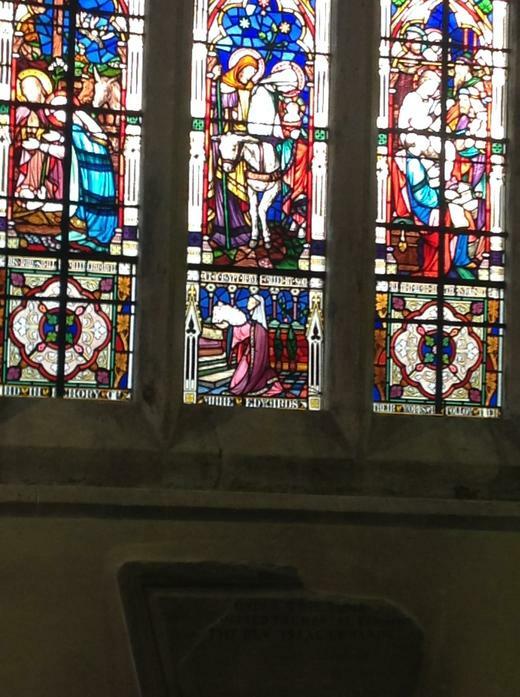 We saw Ann Edwards in the stained glass window. 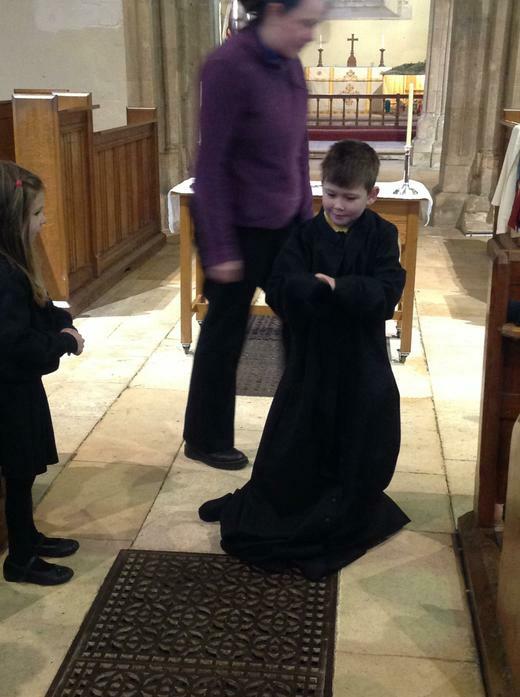 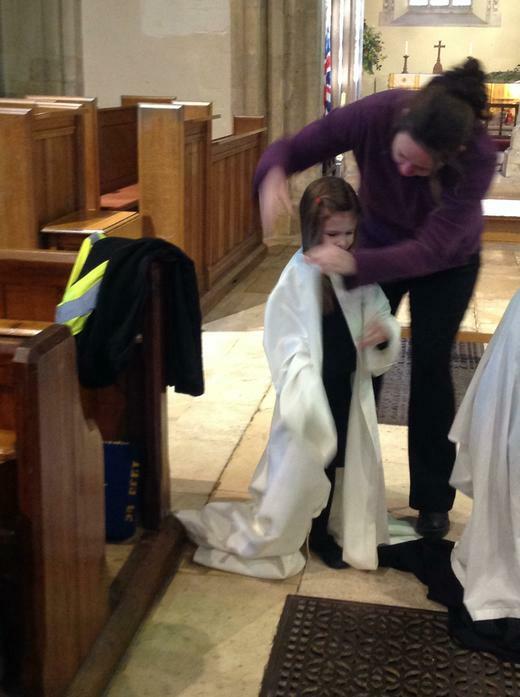 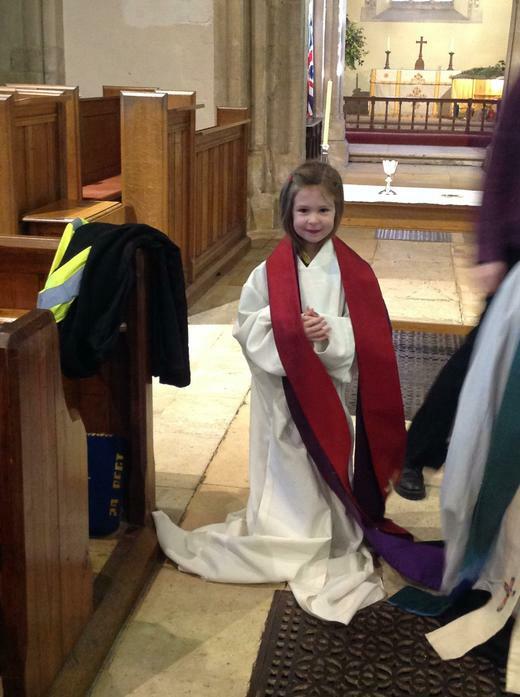 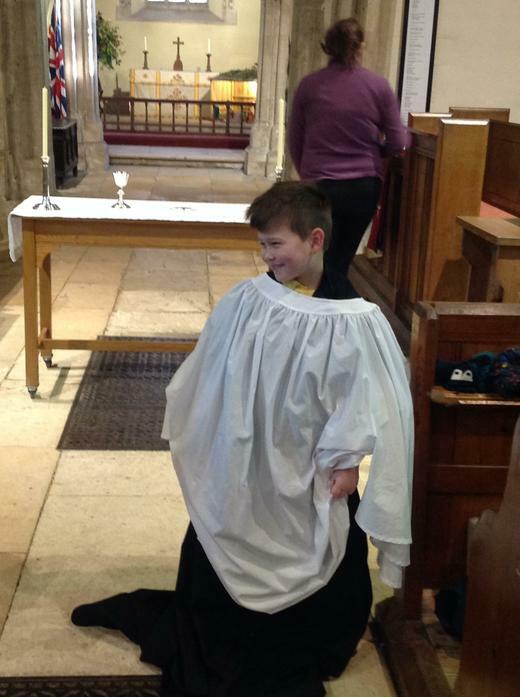 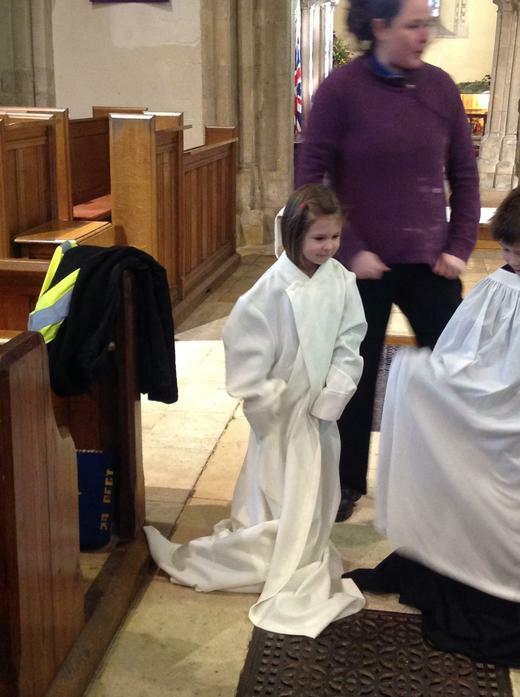 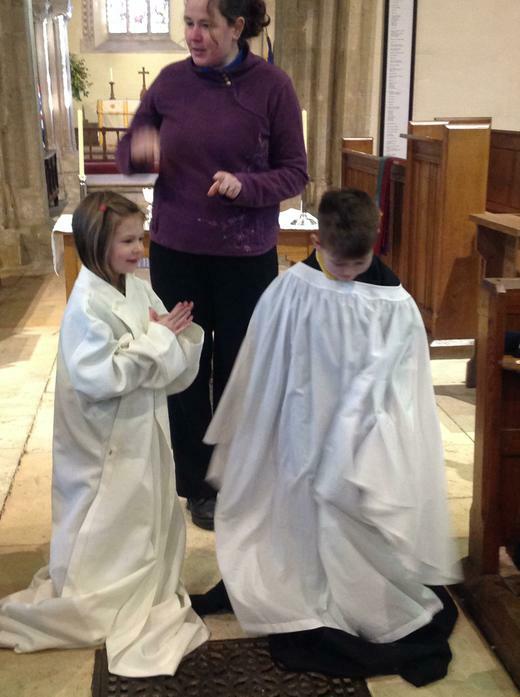 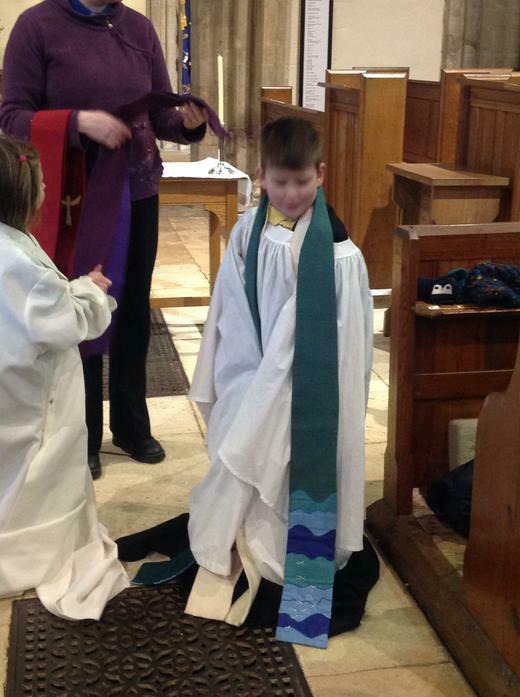 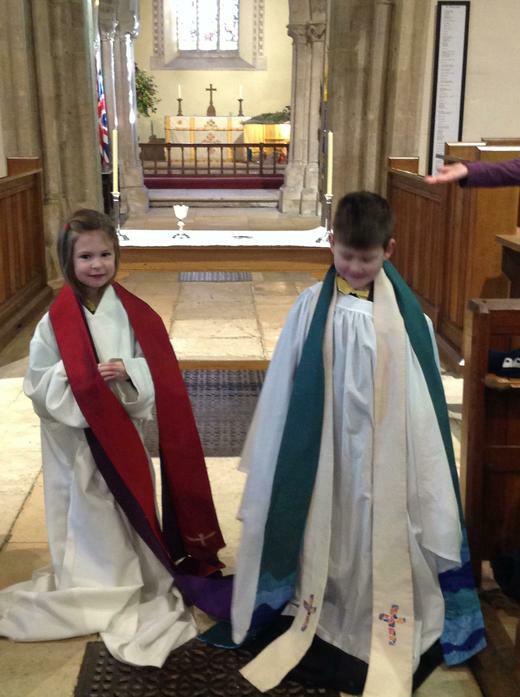 Reverend McKenzie let us explore around the church and she let some of us dress up in her special clothes! 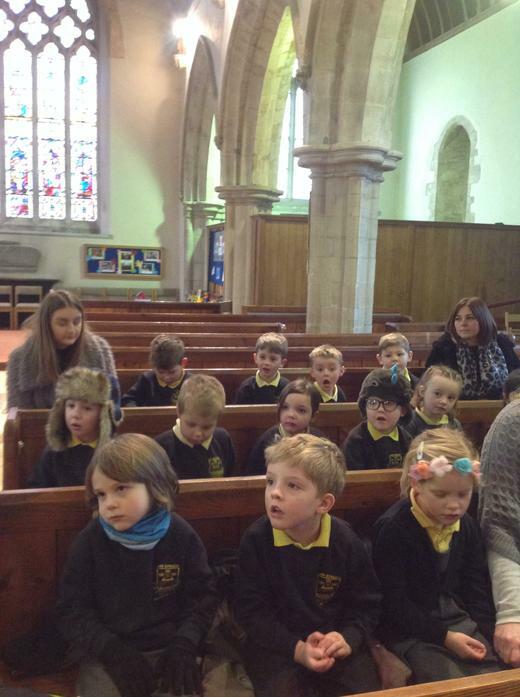 When we got back to school we wrote thank you letters to Reverend McKenzie for teaching us about why the church is a special place for Christians.